Play On: Denver Nuggets -3.5. This is a great spot to back the Nuggets at home. Denver is being undervalued here after losing 4 straight, while the Heat are getting some love after last night’s 103-97 upset win at Phoenix. The key thing here is that the Nuggets last 3 losses all came on the road against quality team in Washington, Atlanta and Toronto. The other was a slim 2-point loss to Portland at home. Prior to this 4-game losing streak Denver had won 7 of 8. I look for them to return to form against the Heat, who are in a difficult spot playing in the 2nd game of a back-to-back road set. It’s also worth noting that Miami’s win last night over Phoenix was greatly aided by the fact that the Suns were playing their 4th game in 5 days. Prior to that the Heat had lost 4 straight by double-digits. 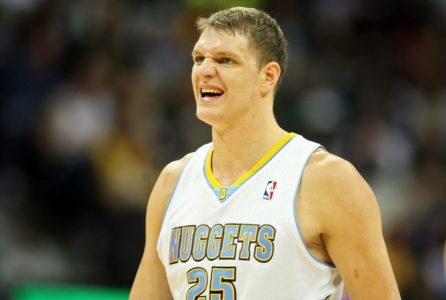 BET THE NUGGETS -3.5!